Throughout Scripture, God reveals himself as the great I Am. He does not define himself with reference to any thing, person, or trait. He is, and that is enough. Women find themselves in a far different situation. When we introduce ourselves, we typically describe ourselves in terms of our relationships (the wife, mother, daughter, sister, or friend of someone else) or in terms of our accomplishments (our title, position, education, or accolades). When our identity is wrapped up in these external things, we inevitably (and exhaustingly!) strive to prove ourselves worthy of love, attention, or affirmation. God never meant for us to focus on whether we are "enough," whether we measure up. He made us--every piece of us--to bejust as he is. Jerusha Clark discovered this while exploring Jesus's seven powerful "I am" statements recorded in the Gospel of John. She invites women to join her in embracing the life and truth of these words, relishing the freedom of an identity fixed on Christ alone while leaving behind fear, bitterness, busyness, and toxic thoughts that steal our joy and limit our power. 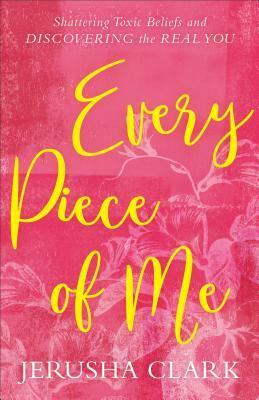 Every Piece Of Me is a book that every woman should read. Have you ever struggled with doubts about yourself? Lived in fear? Wondered if you were good enough? Have you ever wanted someone to sit down with you and talk you through some things? 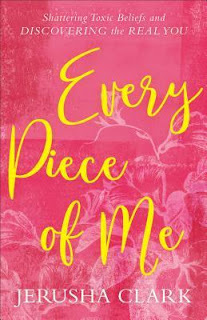 Well, Every Piece of Me is that book! It's the book where you feel that you will gain some amazing wisdom. It helps you navigate the fears and helps you find freedom. It helps you not only identify who you are, but whose you are and your walk with Christ. It help changes your thinking and is so POWERFUL! I love the practical truth and application in this book. I give this book 5/5 stars. Thank you to the publisher for providing me a complimentary copy. A favorable review was not required.